Before Windows 2008, you were only able to have one Password Policy per Domain. 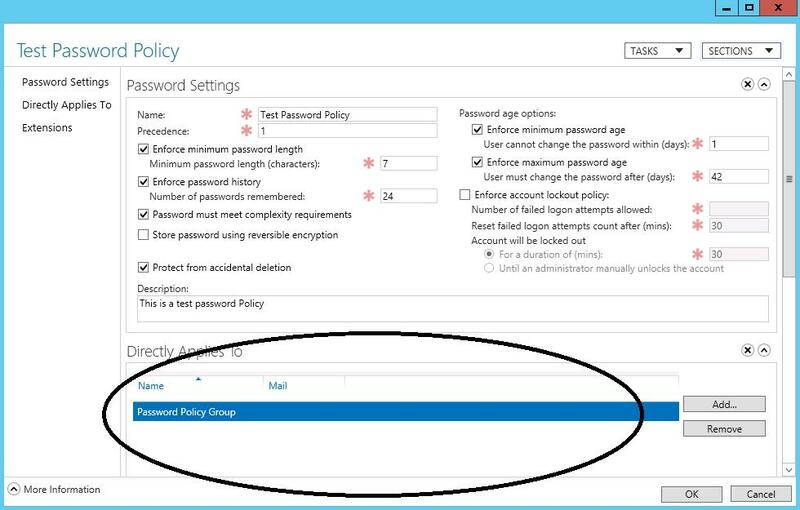 Before Server 2012 there was no way to create Fined Grained Password Policies thru the GUI. The Windows 2012 Active Directory Administrative Center lets you create Fine Grained Password Policy quickly and easily using the GUI. I was able to successfully create a password policy using the 2012 Active Directory Administrative Center in a Windows 2008 R2 Domain. I have outlined the steps as follows. 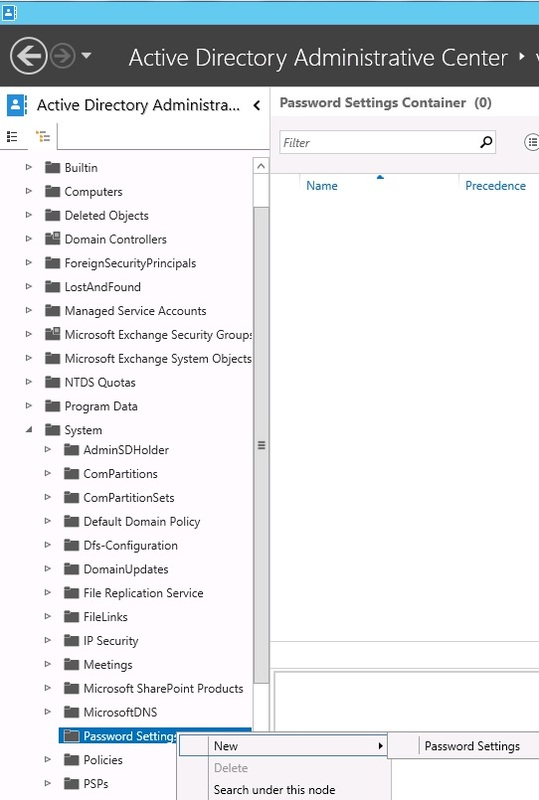 Now open the “Active Directory Administrative Center” with an account that has Domain Admin privileges and navigate to the “Passwords Settings Container”. Right click the container and choose “New” then “Password Settings” as shown below. When the “Create Password Settings” screen appears, fill in the settings according to your policy needs. I hope this helps. As always if you have any questions or feedback please leave a comment.